exposure to different things, ideas, career options, etc. In addition, we encourage them by asking questions, doing research, and reading. We also have family game times where we play a variety of board games that not only teach them sportsmanship but how to play with others. In addition, they all have library cards and belong to a book club at Barnes and Noble. We make reading fun by having a healthy competition on the number of books read. We also encourage all of our grandchildren to learn something new each day even if it is a new word. The purpose of Color Me Purple is to help children understand that a) there are many different ways to be smart, and b) there are probably many more smart kids in their classes and schools than they ever imagined. To enhance the story and make it more meaningful for mature readers and the adults in their lives, there are 18 text boxes, or aside explanations of the concepts and theories behind the story. The first three of these topics — Introduction to Smart and Related Terms, Thinking and Questioning, and Multiples Intelligences are introduced on the Tips page of this blog. In the coming week, I will introduce the remaining 15 topics on that page as well. Have fun exploring intelligence in it’s many forms and colors! She went on to explain the fine line between encouraging and discouraging her 10-year-old son’s intrinsic interest in piano: “I’d noticed that he’d been spending a lot of his free time messing around at the piano whenever he had a spare moment, plunking out songs that he was attempting to sight read from music we happened to have laying around, or just playing by ear. I suggested to him that we set up piano lessons, and he agreed to give it a try. But, when songs were giving him trouble, he quickly became frustrated, and wanted to give up and quit. It became a battle for me to try to convince him to keep practicing. “That’s when I realized that he was no longer playing JOYFULLY as he had been when he was playing for HIMSELF rather than playing to please someone else. As much as I value the important life lesson of developing grit and perseverance, I also want to value and honor my son’s desire to do what makes him happy, and I want to be sure that I am helping to nurture his talent rather than squelch it! One day he approached me calmly and explained to me that he LIKES playing the piano but that he does NOT LIKE taking lessons. He promised that if I would let him quit piano lessons he would continue playing on his own, for fun. So that’s what we did. When I was a child, we didn’t have the opportunity to learn a second language. We also didn’t have any children in my small-town school whose native language was anything other than English. I suffer today from a lack of confidence in tackling any language other than English as well as from a clear lack of ability to speak or comprehend any other language. Sad, but true. I’m thrilled that my grandchildren are being introduced to Spanish at a young age. And, I’m thrilled that some elementary schools are offering immersion programs in Spanish. I wish there were more such programs as well a wider variety of children’s enrichment programs that introduce the languages our grandchildren will encounter in our world of global communications. 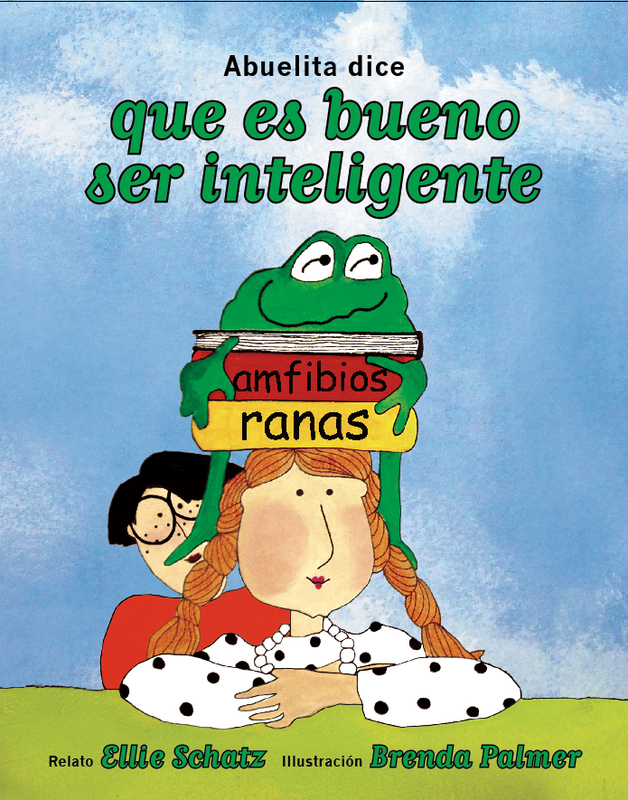 Abuelita dice que es bueno ser inteligente is for all the children of Spanish-speaking families. It is also for all the children learning Spanish in school or through a special private-language camp or program. 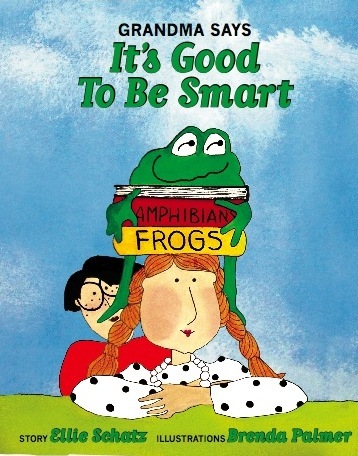 The book is identical to the original book, Grandma Says It’s Good to Be Smart. I thank Joe Ketarkus for translating the story when I took a mocked-up version of the book to Peru in 2008, and working on the final translation for the published book this year. Thank you to Rosa Medina and Nuria Vega for reading and commenting on the Spanish-language version as native speakers. And thank you to my husband Paul for the patience and skill it took to change the words in the illustrations to their Spanish counterparts. That was a challenge I could not have accomplished without his steady hand and help. 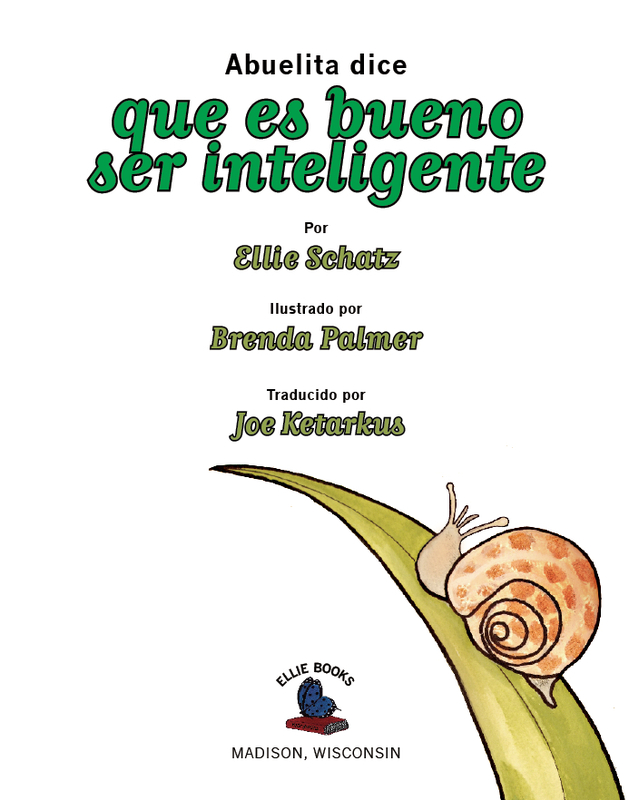 Together, Joe, Rosa, Nuria, Paul and I are happy to be reinforcing the importance of reading, exploring, questioning, imagining, and being proud of one’s every new interest and accomplishment to many more children through the publication of this edition of the book. Enjoy.